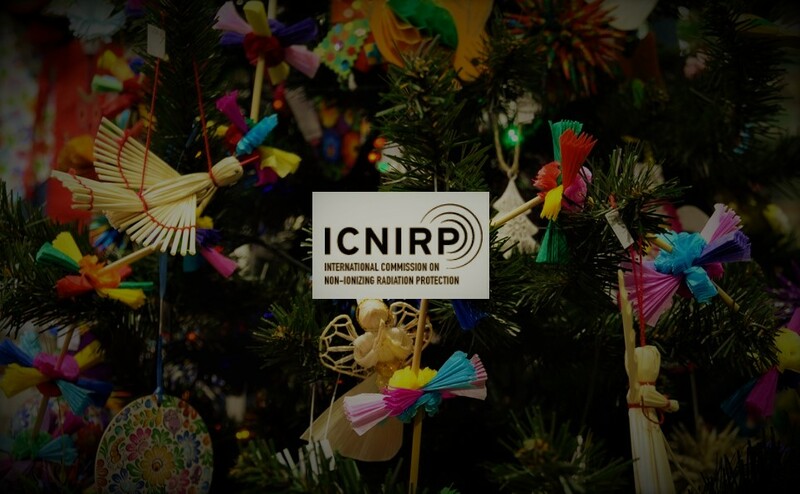 On Dec. 7th, 2017, International Commission on Non-Ionizing Radiation Protection (ICNIRP), has published a ‘Note on the Revision of the High-Frequency Portion of the ICNIRP 1998 EMF Guidelines’. This could sound very promising, ICNIRP opening guidelines for public consultation before finalization of the document, but the mid-part of the ICNIRP’s Note suggests that the optimism might be baseless. However, since the ICNIRP documents must be already approaching completion, assuming that indeed consultation will start in mid-2018, the scientific review of the literature must be already in such stage that the de novo discovery of something extraordinary is unlikely. Therefore, this ICNIRP’s calming-down assurance seems to be just an empty worded calming-down assurance. The announced ICNIRP’s mid-2018 consultation might (will?) be just a PR stunt. After the consultation, ICNIRP will be able to say that we, the users, had our say and the new revised guidelines were made not just by an “elitist club” of ICNIRP members but also by the general public. The decisions about the continuous protectiveness of the old 1998 guidelines have been already made. ICNIRP considers that the introduction of additional new exposures caused by the 5G (millimeter-waves) and Internet-of-Things (IoT) are of no significant importance. As engineers say: “these new exposures will be harmless to health because of their low energy”. No thermal effects whatsoever. Non-thermal effects do not exist by ICNIRP “scientific standards”. the only health effects caused by exposures that are recognized by ICNIRP are thermal. Non-thermal effects, on the contrary to the scientific evidence, do not exist in ICNIRP’s vocabulary. In the end, the much awaited and heralded revision of the exposure guidelines will be just the bulking-up of the 1998 guidelines by adding a long list of references to research published after 1998. New research. New findings. New potential risks and ‘red flags’. However, nothing new to expect in the ICNIRP’s guidelines. This is like an early Christmas gift to telecoms industry. ICNIRP‘s ‘jumping the gun’ and letting know telecoms that no worries, no changes to guidelines. Telecoms do not need to worry what the revised ICNIRP guidelines will look like. Business will remain as usual. ICNIRP’s public consultation is just a populist gimmick designed to improve the “image” of ICNIRP. This entry was posted in Mobile phones and health and tagged 5G, Christmas, Christmas gift, gimmick, guidelines, ICNIRP, IoT, non-thermal, populist, pr stunt, public consultation, red flags, telecoms, thermal by dariuszleszczynski. Bookmark the permalink. As far as I have understood, in the 1998 guideline from ICNIRP the claim is not that there are no a-thermal health effects, but that such eventual health effects were not sufficiently understood or proven, neither was there considered to be a common mechanism behind that could be used to construct a measurement stick. If ICNIRP now claims that “…1998 guidelines still provide protection against all known health effects of high-frequency radiation within the frequency range 100 kHz – 300 GHz….”, this is a considerable change and extention of the claim from the 1998 guidelines. Such an extended claim is based upon the “current knowledge” created by the “expert” committees, who’s systematic omissions and biased evaluations have been demasked elegantly and with high precision time and over again, by Martin L. Pall (on Canadian Code 6), Sarah Starkey (on AGNIR) and others. What a shame!